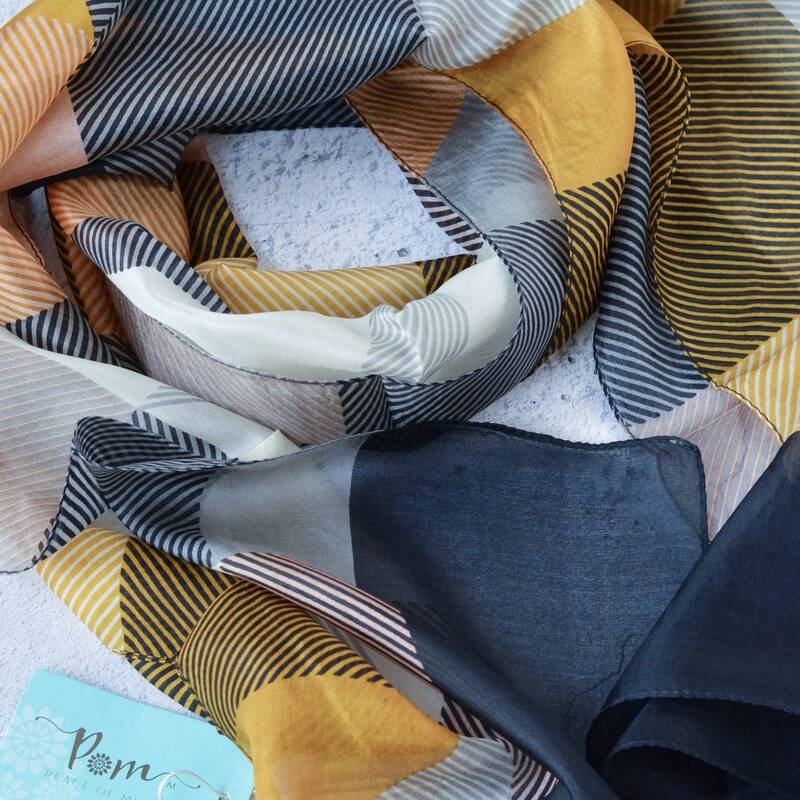 Our striking 'Aria' hand printed silk scarf combines mustard yellow with classic navy in a pinstripe print. 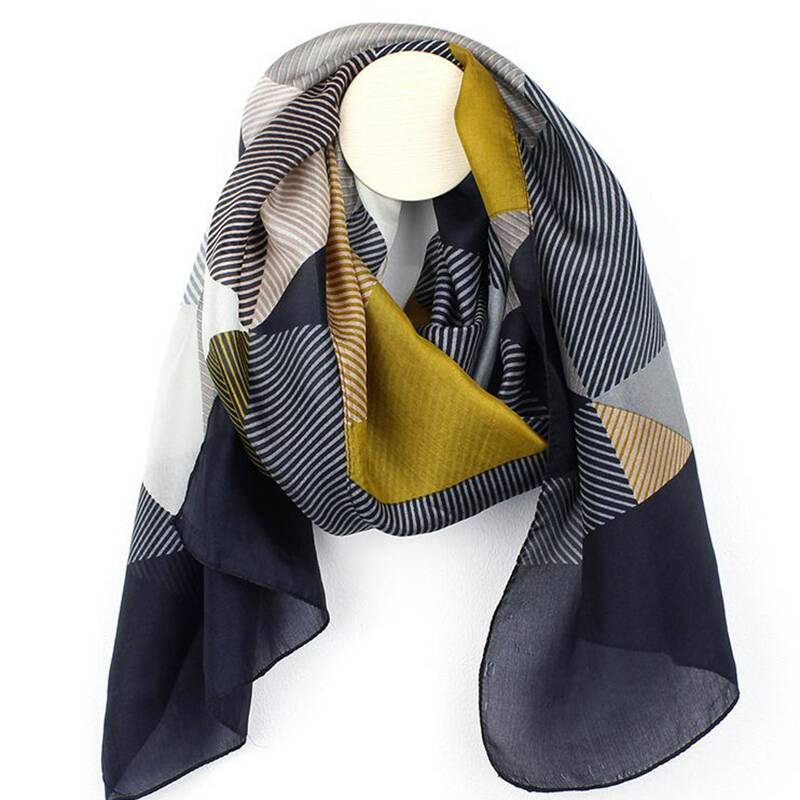 Pinstripes get a geometric make-over in this beautiful silk scarf design. 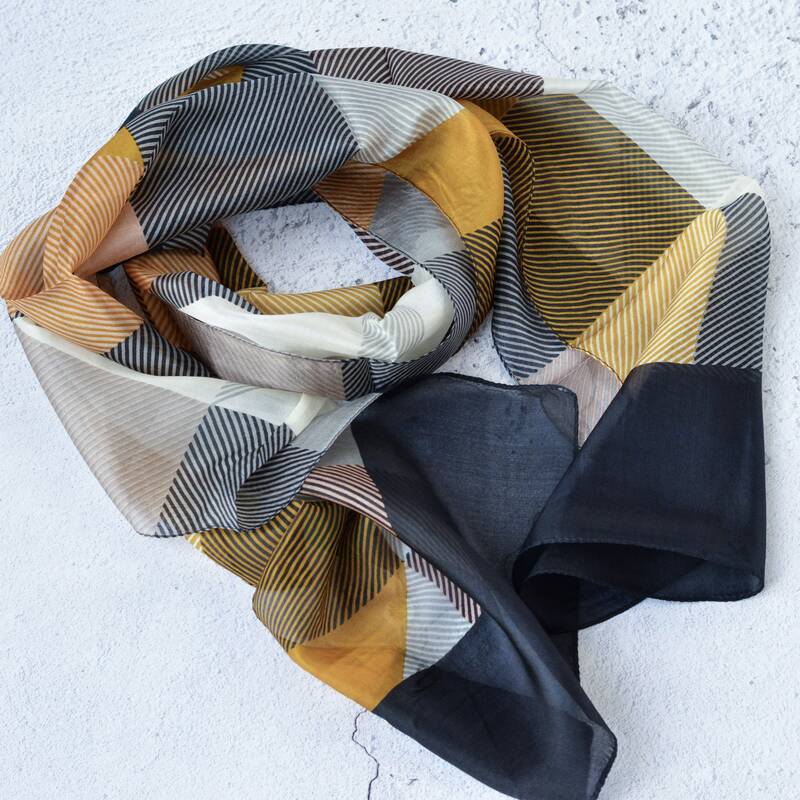 100% silk is printed with square and triangle sections of pinstripe in a selection of complementary colours. 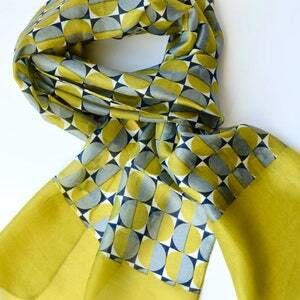 Classic navy and rich mustard yellow set the tone, while ivory and soft taupe bring femininity. 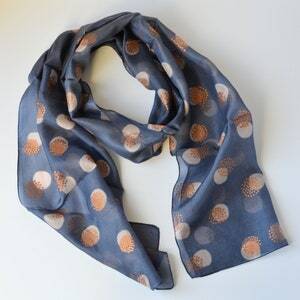 A navy blue border finishes each end of this lovely silk scarf. 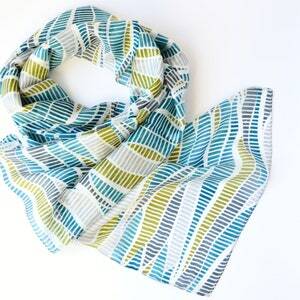 The scarf is very light, drapes beautifully, and looks stunning worn as a scarf around the neck or hair tie. 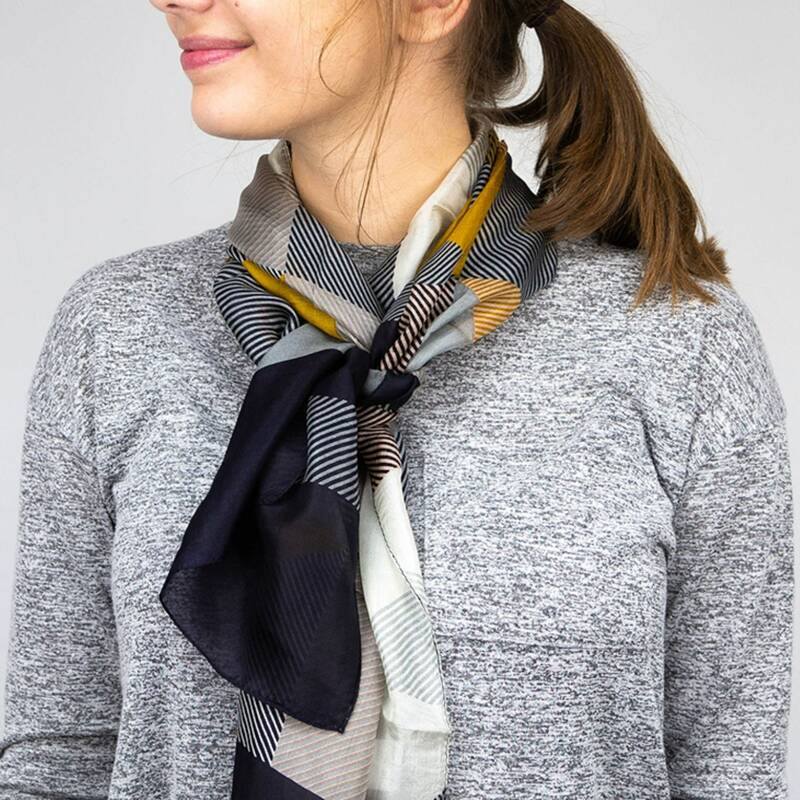 PLEASE NOTE: Silk is a beautiful natural fibre, and our Aria scarf is hand made and hand painted and, therefore, there may be some slight imperfections due to the manufacturing process. 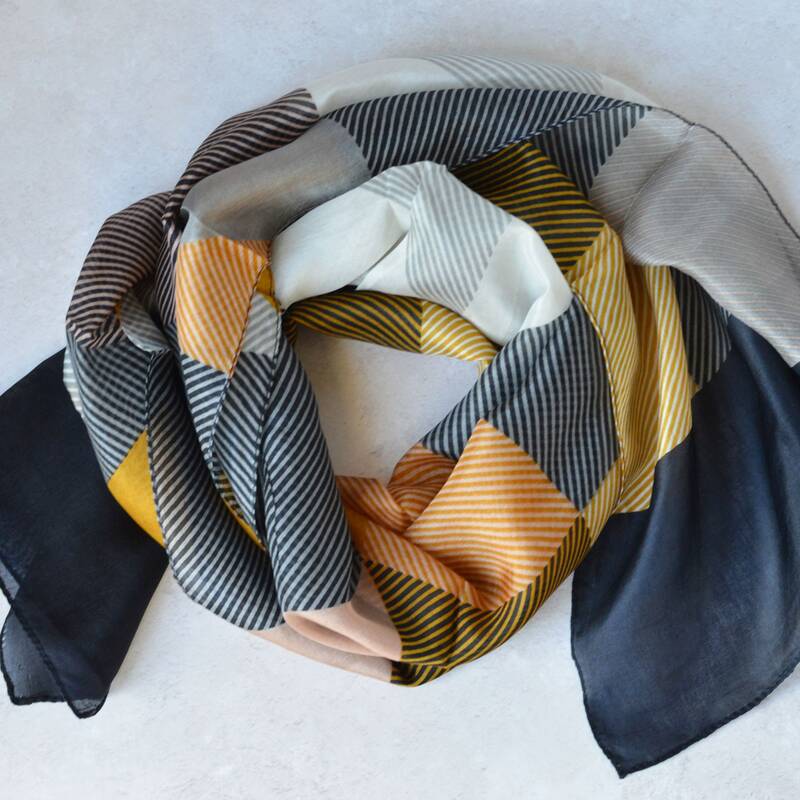 These tiny imperfections should in no way detract from the beauty of the scarf when worn. 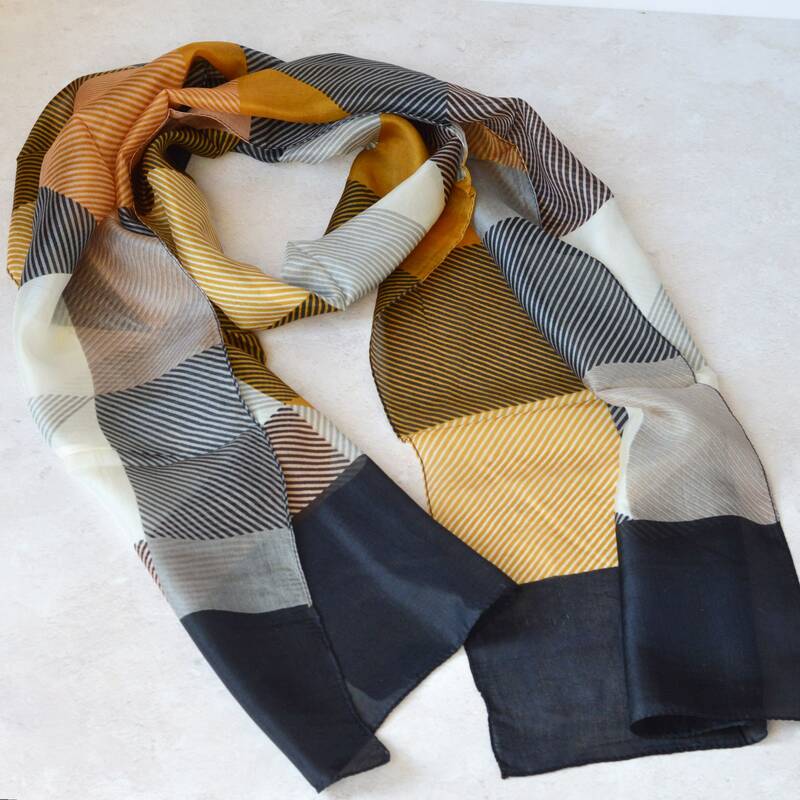 Gorgeous scarf, loved the colors and the material. Am very happy with my purchase. 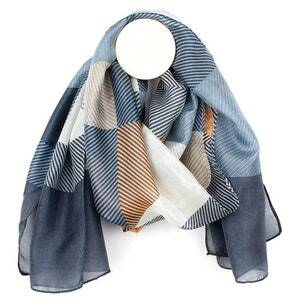 Beautiful, a perfect gift for my grandmother.